Amid fears the Euro 2012 finals were in jeopardy, UEFA has granted tentative approval for Poland and Ukraine to maintain hosting rights for what is one of world soccer’s most important events. Despite the backing, UEFA warned the joint hosts to speed up their preparations, insisting the hosting deal could still be annulled, sources from European soccer’s governing body said Friday. Poland and Ukraine were given the reprieve after UEFA’s executive committee met in Bordeaux to discuss a progress report on preparations for the tournament. Platini said the co-hosts “promised” that stadiums in Kiev and Warsaw would be ready in time. Inadequate stadiums, problems with transport systems and not enough hotel beds had given rise to serious concerns and pushed UEFA into a corner. Several contingency plans had been touted prior to Friday’s meeting, such as using Germany as a third, supporting host, or — as the president of the Polish soccer association, Michal Listkiewicz, suggested — that Poland and Ukraine’s 2012 hosting rights be rescinded in favor of another country, and that the two nations instead plan to host the tournament in 2016. Listkiewicz seems far from convinced his country will be ready in four years time. The biggest problem: poor infrastructure and terrible traffic, he said. “If the European Championships took place in 2016, we would have no problems about being ready then,” Listkiewicz told Die Zeit Online, the Internet platform of the weekly newspaper. Moreover, he cast doubt on whether Poland’s partners in Ukraine will be up to the job. “If things don’t go well now, and UEFA has another suggestion, then that would be in order,” he said. Also to come from the Bordeaux meeting was an announcement that as of 2016, the European championship finals would be played in an expanded format, seeing 24 teams participate instead of the current 16. The decision was reached unanimously by the 13-man committee. The expansion would also see Euro 2016 become a 51-match tournament — rather than the current 31-match format — played over four weeks rather than the current three. 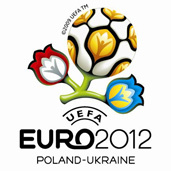 The press of Ukraine: Poland wants to rake in Euro 2012!